#behavioural science has been around for a while now but it has really taken off in the past few years. Some HR professionals have embraced it, some have not. HR as a profession needs to understand what the findings are and how they relate to HR and to business success. The #cipd conducted a series of reports into how behavioural science can be used in learning and development and it recently issued another report into behavioural science, this time with a broader scope. ‘Our minds at work: Developing the behavioural science of HR’, looks at how behavioural science can be applied to a large spectrum of HR concerns – learning and development, yes, but also recruitment, people management, performance management, organisational change, workplace culture and environments and so on. HR as a function focusses on people and business. It needs to help both work to their best capacity. If behavioural science can help achieve that, then HR needs to know what it is, how it works, how it can be used within an organisation and why. Essentially, behavioural science is about understanding how people psychologically react and behaviourally respond to interventions, environments and stimuli. This understanding can be used to create optimal systems and approaches to encourage and facilitate desirable behaviour. That’s why it is relevant to HR as HR activity is all about people and their environments. The idea is that HR can use this knowledge to create management systems that get the best out of people, develop reward systems that work and incentivise people, tackle performance management issues, increase productivity and so on. Many behavioural insights contradict well established thinking and practices about how to get the best out of humans. For example, reward and punishment. The CIPD report refers to a nursery that started imposing fines for parents who collected their children late. The result was not a decline in lateness, as expected, but an increase. Why? Researchers think parents stopped regarding their lateness as a socially embarrassing and inconvenient social ill, instead seeing it as an additional service they were allowed to pay for. Presumably, this was not the desired outcome for the nursery. Another insight that disrupts common thinking is around performance management. Feedback and constructive/personal criticism have been widely accepted as strong motivators. However, behavioural science #research highlights what motivates people and what can help or hinder productive performance conversations. Behavioural science shows that humans are driven by the reward of social acceptance and the threat of exclusion. The research points to a very strong need for connectedness, collaboration and teamwork – get those things right and employees, teams and businesses perform better and wellbeing increases. HR needs to foster collaborative, networked, inter-connected workplaces. Behavioural science gives insights into how effective teams can be developed. Neuroscience research also shows that brain responses to social pain, such as peer rejection, are very similar to physical pain. Workplace conflict is inevitable, but how HR deals with that conflict is not. Research shows that formal HR and legal procedures tend to escalate conflict with the warring parties become more entrenched in their views and behaviours. Behavioural science sheds light on why this happens – as humans are deeply social beings who feel very threatened when they feel isolated or demonised, rational thought becomes very difficult for those who feel under attack. One key finding of behavioural science is that human beings’ emotional, instinctive reactions are more closely entangled with rational thinking that had been thought. Perceived wisdom has been that the mind had two modes of thought – emotion and instinct being one mode and reason and rational thought the other. Behavioural science talks about dual process theory. What does this mean? We rely on automatic, intuitive thinking to be efficient and make the many decisions we have to make every day. However, it can lead us to make false assumptions and err in judgement. Reflective thinking can overcome this, but it takes conscious effort. The CIPD report talks about the fact that we perceive as objective thinking is often actually our attempts to confirm what we have already instinctively decided. Looking at thought processes and behaviours in this way helps us understand how habits are so easily formed and can be hard to break. This is particularly relevant in the area of selection and recruitment, for example. The report does not say that HR needs to take all behavioural science findings on board. It talks about the fact that behavioural science comes in for a lot of criticism with neuroscience in particular being referred to as faddish in some quarters. The CIPD also acknowledges that it is very easy for the findings to be misinterpreted and taken on too easily or glibly. The ‘nudge factor’ also comes in for a lot of criticism. 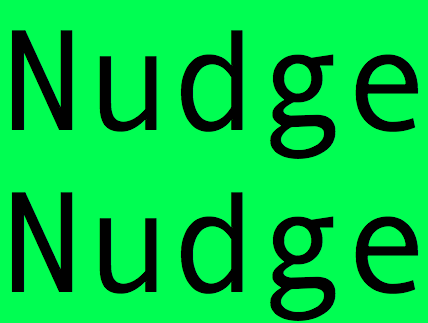 The ‘nudge factor’ relates to the book ‘Nudge’, written in 2008 by Richard Thaler and Cass Sunstein, arguing that effective policies engineer people’s ‘choice architecture’ to facilitate and encourage better decisions. Critics say this is ethically questionable and amounts to manipulative behaviour. Balance types of evidence. Consider all the types of evidence available – such as the benefits of experimental lab-based research over field research and vice versa. There are strengths and weaknesses to all types of evidence so be aware of them. Integrate with practical experience. Draw on good research, but don’t disregard practical organisational considerations before you. For example, the evidence of the negative impacts of feedback on motivation – managers still need to be able to inform employees if there are performance issues. Be brave in making evidence-based decisions. Be prepared to lead the way in persuading the business that the perceived wisdoms are not necessarily the best.